Whenever I see an actor assuming the role of director, I can’t help but wonder why it is that filmmaking, and the arts more generally, seems to be an area in which people seem to think that they can take on a completely new role regardless of whether they necessarily have the requisite skills or experience. Is there an inherent arrogance within actors that leads them to believe that the role of a film director is so simple that they can just appoint themselves to such a position? 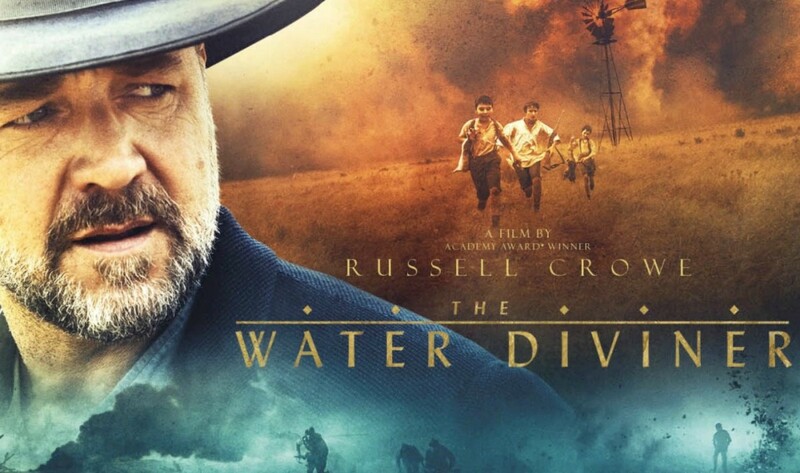 It is certainly a situation that seems unique to this industry and the latest actor to declare themselves suitably qualified to step behind the camera is Russell Crowe with The Water Diviner. At the core of this film is a really interesting story. Three young Australian men go to war and fail to return. A grief-stricken mother is unable to cope and the father vows to find out exactly what happened and bring them home, overcoming his own prejudices and finding new love along the way. The fact that it is based on real events should make the story ripe for a powerful, emotionally engaging cinematic experience, yet somehow Crowe, who also plays the lead role of Joshua Connor, has turned it into a turgid, laboured piece that relies on some pretty preposterous happenings to advance the narrative. The nonsense starts early when we first meet Joshua, a farmer who engages in the scientifically unproven practice of water divining; using two wire rods to locate underground water supplies. This in itself isn’t a problem even if you question the validity of such a practice, but when Joshua arrives at Gallipoli, walks around in circles for a few seconds and then identifies the exact spot where his sons are buried, you can do nothing but shake your head and mutter ‘what the?’ Who needs the teams of soldiers on the site searching for the remains of Australian soldiers when good ol’ Joshua can feel it in his bones (no pun intended)? I found this whole sequence insulting to both those who lost their lives at Gallipoli and those undertaking the retrieval work. I don’t know whether constructing a more logical sequence of events through which the location of the bodies might be identified was beyond those involved or whether they genuinely believed that audiences would blindly accept something so contrived and somewhat comical, but an opportunity for great drama was most certainly missed. Whilst Crowe’s decision to include a roster of recognisable Australian actors in the various supporting roles (Dan Wyllie, Damon Herriman, Steve Bastoni, Ryan Corr, Jai Courtney and Megan Gale all feature to varying degrees) is admirable, the array of unconvincing accents is distracting. Furthermore, there are several characters that are completely unnecessary and offer nothing by way of advancing the narrative, such as Michael Dorman’s Greeves and Isabel Lucas’ Natalia. When we first meet both characters, it seems as though they might play a role of some significance in Joshua’s mission, but ultimately their presence serves no purpose whatsoever. It is the international performers who fare best here; Olga Kurylenko is endearing as Ayshe, the widow to whom Joshua is drawn, while Yilmaz Erdogan is very good indeed as Major Hasan, the Turkish soldier who helps Joshua in his quest. Young Aussie actor Dylan Georgiades is also fine as the rambunctious Orhan, but one of our great acting talents in Jacqueline McKenzie is criminally underused as Eliza. Whilst there are some good battle sequences set in the mud and blood of those famous trenches, their effectiveness is overshadowed by the lack of believability that surrounds so much of the film. Crowe is stilted as Joseph and his transition from grieving father to action man fleeing across the rooftops of Istanbul (or fending off a group of armed Greek soldiers with a cricket bat) makes it difficult to know exactly what kind of movie this is supposed to be. It certainly doesn’t take the opportunity to delve into the emotional aftermath of Gallipoli like it could and that is a shame. 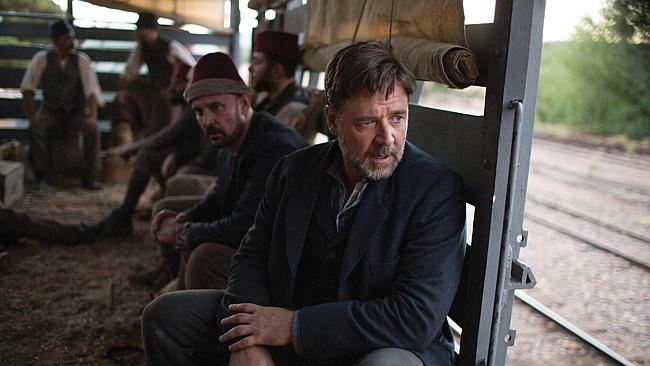 If only Crowe had been able to capture the essence of the story in a way that made us care about his journey, The Water Diviner would have been a much better film. If nothing else, perhaps this film demonstrates that there is more to being a good director than simply wanting to be one.